There’s a very solid argument to be made that the Chevrolet Corvette is the most influential sports car ever to come out of a major American manufacturer. Sure, Chrysler had its Viper; Ford had its GT; and even AMC had its AMX. But none of them have had the longevity or the prolonged cultural significance of the Corvette. So, when General Motors GM +1.65%’ Chevrolet division brings out a new generation of Corvette, people pay attention. After all, this is just the seventh generation Corvette, following the first (1953 – 1962), second (1963 – 1967), third (1968 – 1982), fourth (1984 – 1996, skipping 1983), fifth (1997 – 2004) and sixth (2005 – 2013) generations. Corvette fans in the know refer to the generations with “C” and the number, so the new Corvette is a “C7.” The “Stingray” appellation hearkens back to a Corvette racing concept car from 1957, and was previously attached to C2 and C3 models. (“Sting-Ray” was also the name of the coolest banana seat and ape-hanger bicycles of the mid-1960s from Schwinn.) 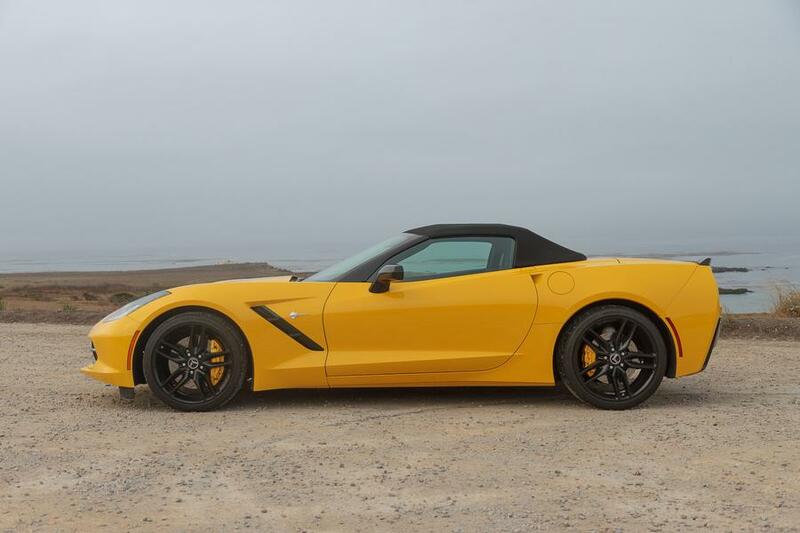 While GM has presented the Corvette as a sportscar through the generations, it wasn’t until the fifth and sixth generations that serious sports car aficionados really considered the car as a contender. Stacked up against European competition, the Corvette fell a little short. But GM never gave up on Corvette, and neither did America. Enter the 2014 C7 Corvette Stingray. With the Z51 Performance Package, the C7 is capable of leaping from a dead stop to 60 mph in just 3.8 seconds, which is supercar fast. It runs quarter-miles in 12 seconds, and pulls 1.03 g in cornering grip. The C7 can stop from 60 mph in just 107 feet. That is an elite set of figures, and they’re for a Stingray equipped with the vehicle’s base engine, a 6.2-liter V8 that’s rated to produce 450 hp and 450 lb-ft of torque. There’s a Z06 version coming down the pike for 2015 that will add a supercharger and even more insane amounts of power (650 hp at latest report).